The Conveyancing Association (CA), the leading trade body for the conveyancing industry, has used its Annual Conference to urge member firms to be prepared for significant changes in the future which are likely to fundamentally alter the sector and their processes for good. 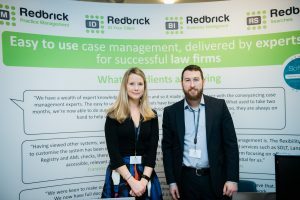 The Conference, which was supported by Associate Member Redbrick Solutions, had the theme ‘Embracing the Digital Future’, and was held on the 6th December at the Etihad Stadium, Manchester. The event brought together over 200 industry stakeholders to principally look at the forthcoming changes to the conveyancing process which will change the work of all CA member firms. In particular, the Conference detailed how firms must prepare themselves for a digital future and outlined a number of potential threats, including the launch of various PropTech propositions focused on disrupting the conveyancing process. The CA’s Operations Director, Lloyd Davies, and its Non-Executive Chair, Paul Smee, urged its members to embrace the technology-based opportunities that can make the conveyancing process quicker for all stakeholders including the development of a Property Log Book, the use of digital signatures, and proof of clients’ ID including biometric data. Davies and Beth Rudolf, the CA’s Director of Delivery, also outlined the role that the CA is playing in a number of forward-thinking groups including the Conveyancing Task Force, the Home Buying & Selling Group (HSBG), and the All-Party Parliamentary Group (APPG) on leasehold reform, amongst others. The CA provided attendees with an update on its ongoing work, particularly its membership of the HBSG which runs a number of work streams in key areas, such as the upfront provision of information, the customer experience, leasehold, reservation agreements, and education issues from a consumer perspective. Matt Prior of the Ministry of Housing, Communities & Local Government (MHCLG) provided members with an update on its continuing work, told firms to be prepared for change, and outlined the Government’s thinking in a number of key areas. Prior outlined how there was “no silver bullet” to fix the conveyancing process but suggested it was broadly supportive of a number of changes including one process for ID verification, digital signatures, the use of Property Log Books, and reservation agreements. “At what was a highly-informative day of presentations, it should have been painfully clear to all those who attended, that the conveyancing market is going to alter significantly over the course of the next few years. Firms can either embrace that change, and be the architects of their own future, or be overtaken by it. “It was therefore pleasing to see a distinct lack of complacency from our member firms – we know there are a large number of PropTech companies eyeing up the sector and seeking to develop the tech that might seek to remove firms from the process, but there are also opportunities here which could see our members leading the way and being the ‘disruptors’ in their own marketplace. “In a number of key areas, we are leading the way, and with this Conference, we wanted to outline the changes firms can make which can, not just ensure their survival, but allow them to thrive in this marketplace. “There is significant Government and industry support for some of our proposed solutions, including a Property Log Book, the upfront provision of information to clients, and in areas like leasehold. We will continue to champion those, to work with members and stakeholders to trial these solutions, and to introduce measures which seek to speed up the process and ensure a much better experience for the consumer. “The hard-won progress that has been made is a testament to the collaboration between industry stakeholders and the CA in these key areas. We welcome the approach of the policymakers in consulting with industry via the HBSG to gain the best outcomes for the consumer. This puts us in very good stead to support members and help them embrace these changes and to ensure they have a positive impact on their businesses and their processes. “Our lobbying ‘footprint’ continues to grow, and I outlined how we will remain active in a number of key areas including leasehold, commonhold, the HSBG, PropTech and our relations with lenders, amongst many others. 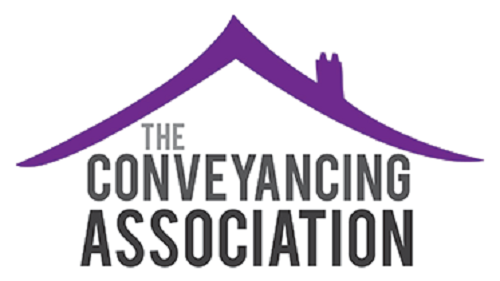 For further information about the Conveyancing Association please see their website. For further information about Redbrick Solutions conveyancing case management solution, please see our product page.